The Nilson Report, now into its 32nd year of publishing, has a major story on the commercial barter industry that is being mailed to 18,000 major companies around the globe. It report on consumer payment systems worldwide and includes transactions involving cash, all consumer checks, direct checks, credit cards, debit cards and electronic transactions. This positive coverage will not only build a greater awareness of the commercial barter industry, but will show the industry's growing capabilities and untapped potential. The bi-monthly 10-page newsletter, and one of the world's leading source of news and proprietary research on consumer payment systems, is mailed to leading financial institutions, government agencies, multi-national corporations, major publications, etc. A partial list of the companies receiving the newsletter, worldwide, can be seen at Nilsonreport.com. The newsletter is distributed in 95 countries. The online and print version sells for $1,890.00 The print edition, for 24 issues is $945 worldwide. In the special report barter contacts were listed for six countries, as well as the two national trade associations in the United States. Additionally, illustrations of four barter debit cards were included in the newsletter-Itex, Bartercard, TradeAmericanCard and Nordic Barter-as well as the cover of BarterNews, issue #56 (Active International). In my conversations with H. Spencer Nilson, he estimated (compared to other major consumer payment systems in the U.S.) the value of barter transactions would currently amount to only 0.7% of cash transactions, 3.3% of credit card transactions, and 5.7% of debit card volume. A story in the Houston Business Journal states that a recent report issued by the Federal Communications Commission (FCC) indicates that consolidation of radio station ownership has had minimal impact on local advertising rates. The FCC says local concentration accounted for only 3% to 4% of the 68% rise in real advertising rates since the Telecommunications Act of 1996 was passed. Under that act, a single owner can own eight radio stations in a market with 45 or more commercial radio stations. The act also eliminated the old cap on national ownership of 20 FM and 20 AM stations. 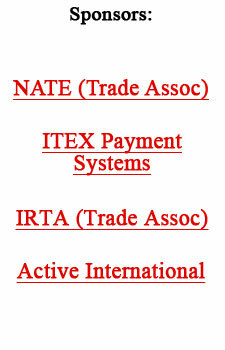 For four years Gary Lasater's Teletrade International served as the administrator and technology company for the International Reciprocal Trade Association's "Universal Currency." Beginning in 2003, Lasater will be focusing all of his energies on expanding eValues.net, a technology he created that provides a backbone system for independent trade exchanges. Using eValues, exchange owners can run their day-to-day operations, as well as work together through a central database. This allows the trade exchange members to buy and sell in the global marketplace if their exchange is affiliated with eValues. Last January eValues worked with 12 exchanges and processed $400,000 in monthly transactions. By September the figures had expanded to 70 exchanges and $3.2 million in transactional processing. For more information the web site is www.evalues.net. "China Has The Most-Severe Economic Disparities Worldwide"
According to Angang, incomes in different parts of China line up with some of the world's poorest places as well as the riches; China's export-led drive to globalize continues to deepen economic divisions, benefiting the coastal cities despite official efforts to boost interior investments. Foreigners continue to pump money into the coastal cities, ignoring other parts of China...as evidenced by the eastern seaboard receiving 87% of direct foreign investment in 2001. During the next four years, 23 million (rural) workers are expected to flood into China's cities as urban incomes in Beijing and Shanghai are nearly those in the bordering provinces. If you still have money, there hasn't been a better time to go shopping for a big boat in years...prices are almost in free fall, with big boats selling at 25% to 45% off of "ask" in many cases. The nation's biggest boat show, the annual Fort Lauderdale International Boat Show, just concluded yesterday. Running a trade exchange is a 24/7 effort. At every national convention trade exchange owners always talk and nod in agreement about the importance of educating their clients--making them aware of the many benefits of barter so they will be better traders. Then they return home, and once again are inundated with simply not enough time in the day to get everything done...let along time to research, write and layout an eye-appealing, interesting, educational and powerful marketing newsletter. One which points out and reinforces the benefits of your valuable services--each and every month...on a consistent and on-going basis. As a trade exchange owner, you realize that having such a unique marketing tool to use for your existing members--as well as the hundreds of prospects in your marketplace--is really necessary in these competitive times. Yet who has the available time and ability to generate such a newsletter? What's the answer...? The highly effective Competitive Edge newsletter. For almost two decades now, unfailingly, each and every month C.E. has been published for your use only. It's the professionally written and designed, yet inexpensive answer for a busy, growing exchange like yours. Check it out...click here to see a sample copy. As a newsletter subscriber, your exchange will also be listed here. If you move forward this week, as a bonus you will receive 15 copies of the highly acclaimed 16-page special report, "Why and How Savvy Restaurateurs Trade." This incredibly effective hand-out shows a restaurant owner the value of joining your exchange. Senior real estate executives from brokerage companies to mortgage-banking to retail-property developers all prize the lone cowboy, the gunslinger, the entrepreneur rather than those trained in real estate at the university level. That's the finding of Equinox Partners, a New York-based recruitment firm that focuses on the real estate industry. According to Anthony LoPinto, Equinox's CEO, the findings are saying that university programs need to change. Respondents felt the schools are basing too much of their curriculum on theory rather than practical applications. Microsoft's share of the home computer operating-system market, at 93% is incredible, but equally startling is that their market value of $290 billion exceeds the 2001 gross domestic products (GDP) of 150 countries around the world...including Switzerland, Belgium, Saudi Arabia, and Argentina. U.S. and European regulators are moving forward to create a single set of global accounting rules which would save companies time and money. They've announced a plan to eliminate differences in their standards by 2005. U.S. regulators, stung by a string of accounting scandals headed by Enron, are now showing unprecedented flexibility to look at principle-based standards. Such standards, favored by European regulators, focus on the spirit of the law rather than the letter, making it difficult to outmaneuver.